Fresh off the addition of Darth Revan to Star Wars Galaxy of Heroes, the fans are about to get another treat in the coming weeks. EA SWGoH GameChanger Gaming-fans.com has been granted the exclusive information on the introduction of six new characters to the game which we expect to mirror the release of the Phoenix Squadron in March and April 2017. 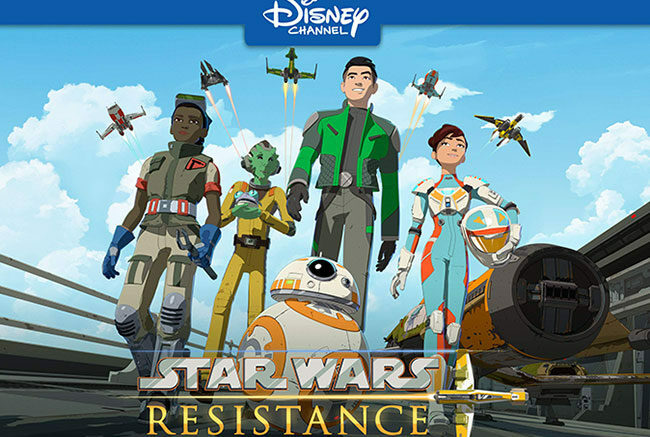 That release cadence featured six characters in six weeks before the addition of Grand Admiral Thrawn in mid-June 2017. Just like that sequence, this character release schedule will feature another Star Wars cartoon series as the focus. Details on a possible Legendary character are being looked into as our Staff Writer Sparrow is looking to confirm after helping us gather the information below. Graphics are in the works and should be available from the team at CG as early as tomorrow. Deal physical damage to target and apply accuracy down. Whenever Bucket is defeated, if at least 2 other Colossus allies are present Bucket is revived with 100% health. Additionally Bucket regains 25% protection for each ally at full health when he is revived. Whenever Bucket takes damage Colossus allies recover 20% health and 20% protection. Bucket gains taunt for 3 turn whenever a Colossus ally is critically hit. Deal Physical Damage to target enemy, chance to attack again equal to critical chance. This attack cannot score critical hits and cannot be countered. Deal Physical damage to target enemy and call an ally to assist, both attacks ignore protection, on a critical hit gain 50% turn meter. Whenever an ally is reduced below 100% health Kaz gains +10% offense, and +10% Critical Damage (Stacking) until the end of the encounter. Then Kaz gains 100% Turn Meter and reduces the cooldowns of all Light Side allies by 2. Kazuda has +50% Tenacity and cannot be targeted while any other allies are present. Neeku inflicts confuse on himself, and 3 stacks on target enemy, he inflicts an additional 3 stacks on a random enemy that is not confused for each stack of confuse on Neeku. This effect cannot be evaded or resisted. Deal special damage to target enemy, if that enemy is confused restore protection to Neeku and target ally equal to the damage dealt multiplied by the stacks of confuse on target enemy. While Neeku is debuffed Colossus allies gain +500% tenacity. Neeku begins each battle with the confused status. Call Target ally to assist, if they critically hit this attack is a guaranteed critical hit, if they do not critically hit this attack ignores protection and does triple damage. This attack deals special damage. Gain stealth for 2 turns, gain +20% defense (stacking until end of encounter) and recover 20% health and protection, while stealthed Tam has 100% evasion. All Colossus allies lose 5% health (this ability ignores protection) and gain a unique buff Desperation for 2 turns. Desperation: All cooldowns are reset and the next attack 300% damage (against First Order enemies this attack ignores protection) consuming the desperation buff. This buff cannot be dispelled or copied. Dispel all debuffs on all allies and grant Colossus allies with 5% bonus protection for each existing buff on a Colossus ally. Colossus allies cannot gain critical hit immunity, whenever a Colossus ally is critically hit they gain 60% Turn Meter and +50% defense stacking until the end of the encounter. Whenever a Colossus ally gains a debuff the Colossus ally with the most turn meter gains an additional 20%. Remove all debuffs from self and gain Offense, Critical Chance and Critical Damage up. Torra has 100% counter chance whenever a Colossus ally has protection reduced to zero, additionally Torra gains 25% turn meter whenever a colossus ally drops below 100% Health. 04.01.19 @ 9 pm ET – Thank you all for being such good sports on this April Fool’s Day! Be the first to comment on "SWGoH GameChangers Exclusive: Star Wars Resistance Characters coming to SWGoH"